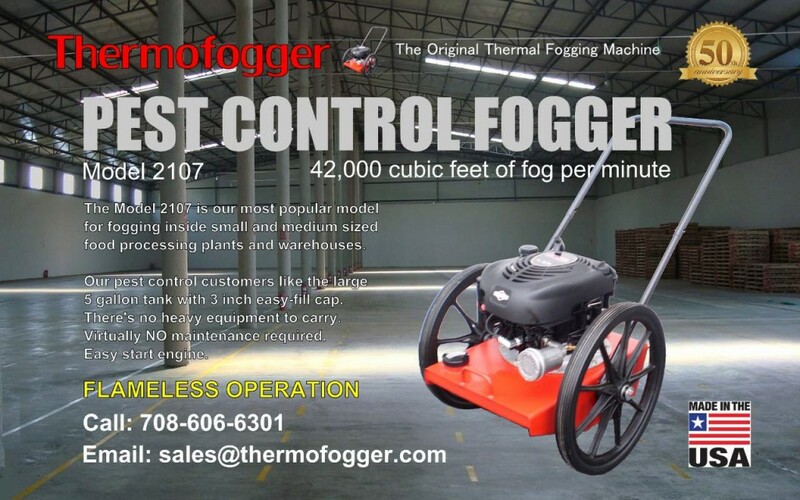 The most mobile Thermo Fogger available. It’s no longer necessary to lift and carry equipment. Perfect for indoor and outdoor insect control, odor control or smoke and fog special effects. The two-stage heating system, prevents degradation of heat sensitive insecticides while creating a fine, billowy fog. 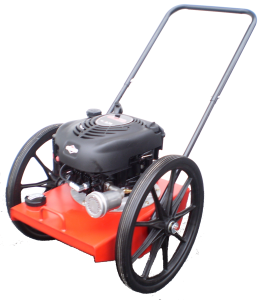 Ideal for warehouses, food processing plants, parks and campgrounds. Adjustable fog and hang time make it a great special effects machine. The Model 3901 is especially suited for large parks, factories, golf courses and municipalities with mosquito abatement programs. This unit comes equipped with hoses and fitting for attachment to bulk containers. Also standard equipment, are manual remote controls to allow starting and stopping of fog from the cab of a vehicle. Its two-stage heating system prevents the degradation of heat sensitive insecticides while creating a fine, billowy fog. This Thermo Fogger powerful enough for large areas. Operation of Model 3902 requires only one person. The unit has its own 15 gallon steel formulation tank equipped with remote manual controls permitting starting and stopping the fog from the cab of a vehicle. The two-stage heating system 1) prevents degradation of heat sensitive insecticides and 2) allows the creation of fine, billowy fog. MODEL 3902 is especially suited for large parks, factories, golf courses and municipalities with mosquito abatement programs. Great for large special effect productions. Truck or cart mount. The Model 3903ES is especially suited for large parks, factories, golf courses and municipalities with mosquito abatement programs. This Thermo Fogger is powerful enough for the big jobs, but can still be operated by one person.